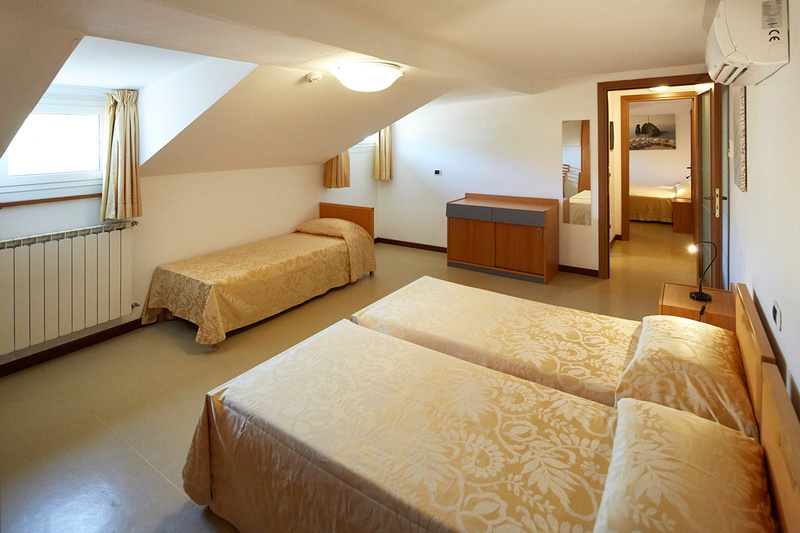 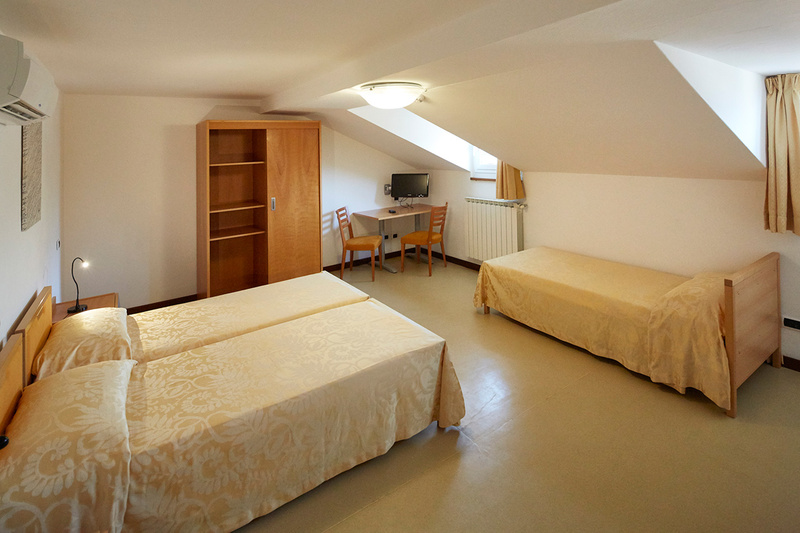 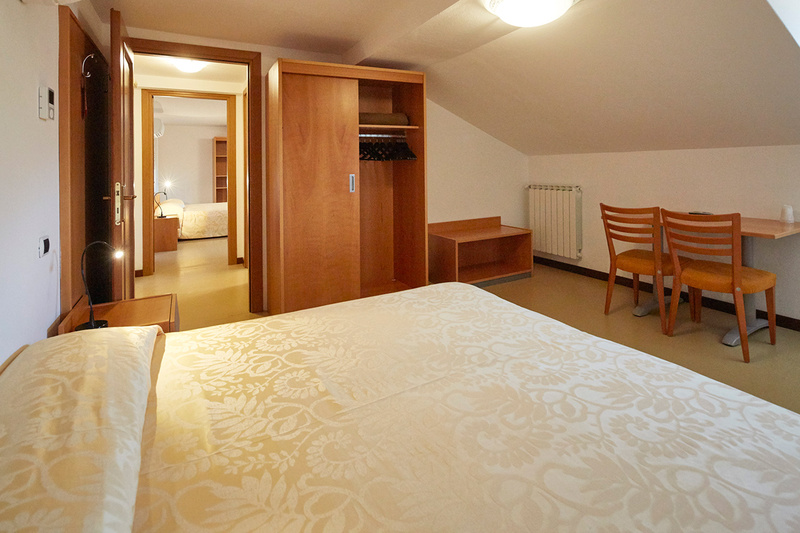 Our attic family rooms are on the top floor of the hotel. 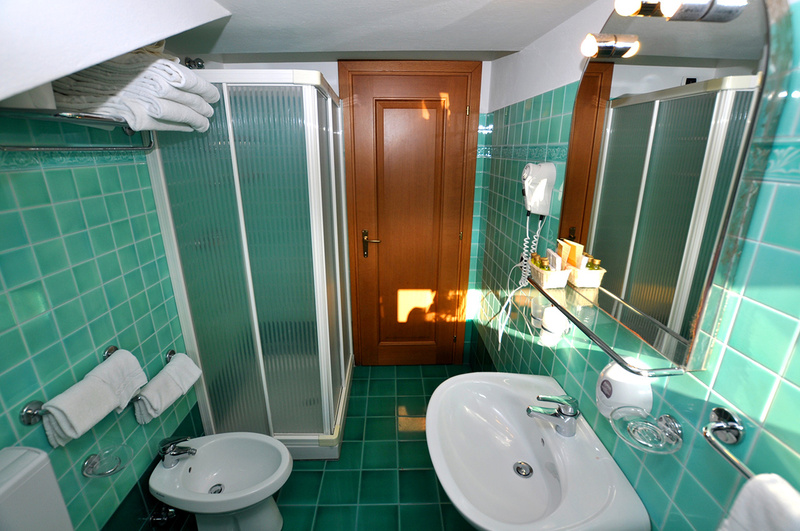 The elevator reaches the 3rd floor, from there you must take the stairs to the fourth floor. 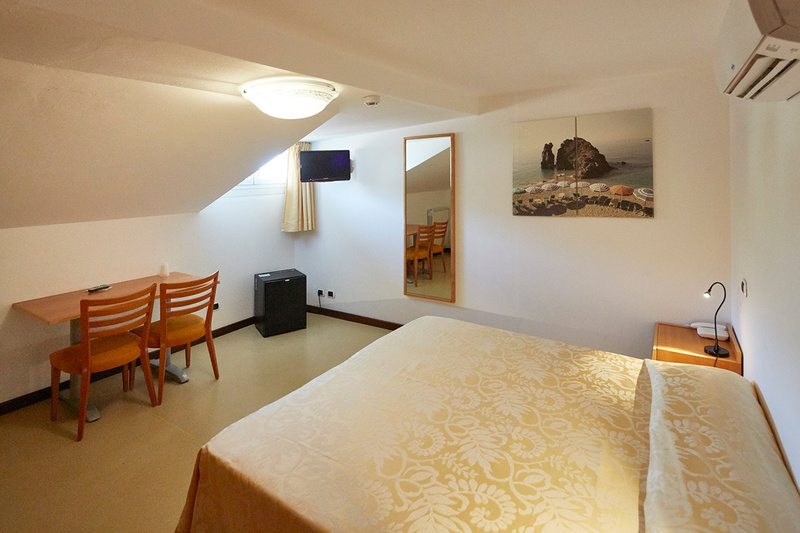 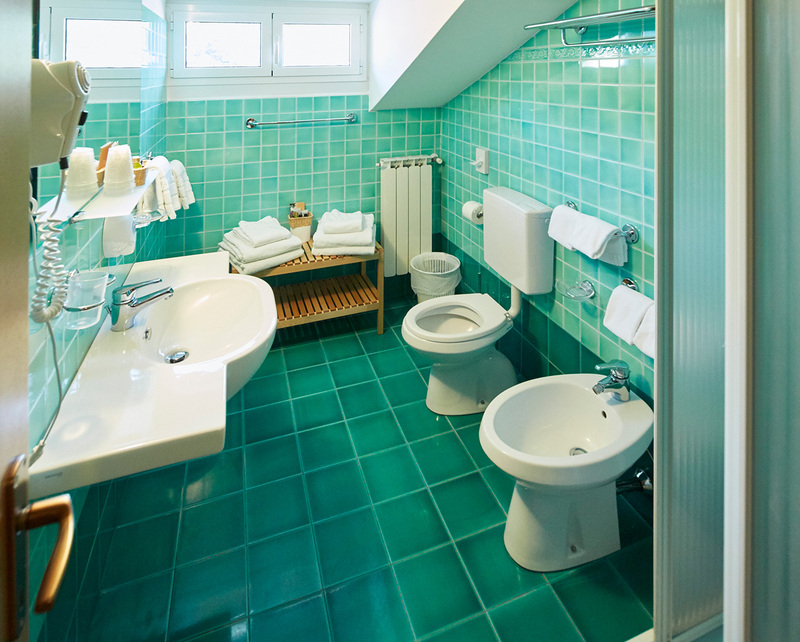 Each family room has 2 rooms (double or single beds as requested), 1 bathroom with shower and hair dryer, air-conditioning, phone, TV, fridge and Wi-Fi.